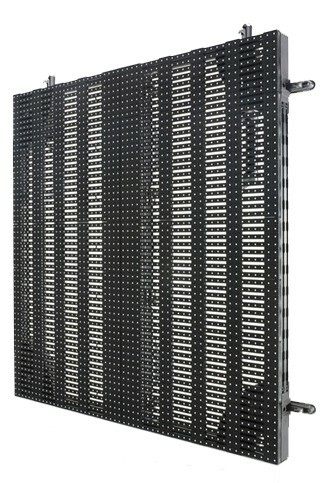 Barco LiveDots’ brand-new V14m LED display is on the main stage of this week’s Rock Werchter. Launched only a few days ago, the new transparent 14mm LED display features as a perfect backdrop for the sets of the world’s biggest bands like The National, Rammstein, Nick Cave, Blur, The Editors and many others. Rock Werchter is one of the leading festivals in the world. Over four days, more than 150,000 people visit the annual event to see and hear their favourite bands. In March 2013, Rock Werchter received its fifth ‘best festival in the world’ award at the International Live Music Conference (ILMC). Experts praise the festival for its smooth organization and impressive line-up. PRG Productions has been supplying sound, light, video, multimedia, etc. to Rock Werchter since the festival’s early days. Production manager Walter D’Haese and his team considered Barco’s new V14m LED display to be the perfect fit for this year’s main stage: "The V14m really is a great product. It ensures a very bright, seamless backdrop and is exceptionally light – just what we need for a quick, trouble-free installation during festivals like Rock Werchter." Designed specifically for the rental and staging market, the brand-new V14m is indeed lightweight and features a special magnetic V-lock for an easy and safe set-up. This makes it ideal for rental companies wanting to build large, dynamic video backdrops on stage or side screens on lightweight trusses, both in- and outdoors. The outdoor SMD technology and the full IP65 rating guarantee that the display’s front and back can be used safely for temporary outdoor installations. Moreover, the display also has a typhoon test certificate, which proves that also the impact of UV, varying temperatures and vibrations has been tested. "Barco LiveDots has developed the V14m in a very short timeframe, to meet an existing need: rental and staging companies often explained how they were looking for a lightweight solution that would be easy to install for temporary events like festivals, TV shows, etc," says Thierry Heldenbergh, managing director at AED Display. "We’re very happy with the results of this sixth V-series member: the display’s light weight and the magnetic V-lock enable a single technician to safely set up this 800 x 800 tile on his own. Moreover, as the V14m shares its mechanics with the C series, rental companies that already own C-series displays can reuse them for the V14m." Carl Rijsbrack, CMO at Barco LiveDots adds: "AED Display bought 250m2 of the new tiles immediately after the product launch, which are already enlivening the Rock Werchter stage. So the rental market has taken to this new product very quickly. We couldn’t have dreamt of a better première than at this festival."